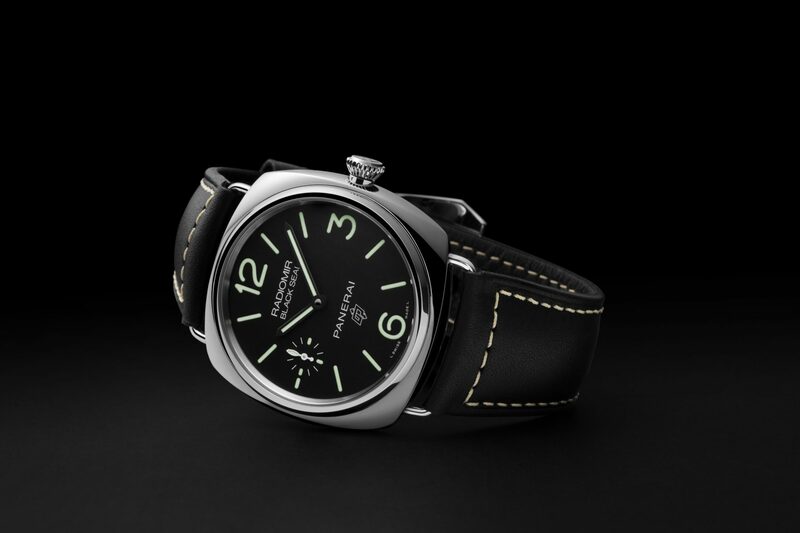 Panerai has added two models to the Radiomir family of timepieces and a fresh but retro-styled Luminor to the collections that retailers were shown at SIHH in January. 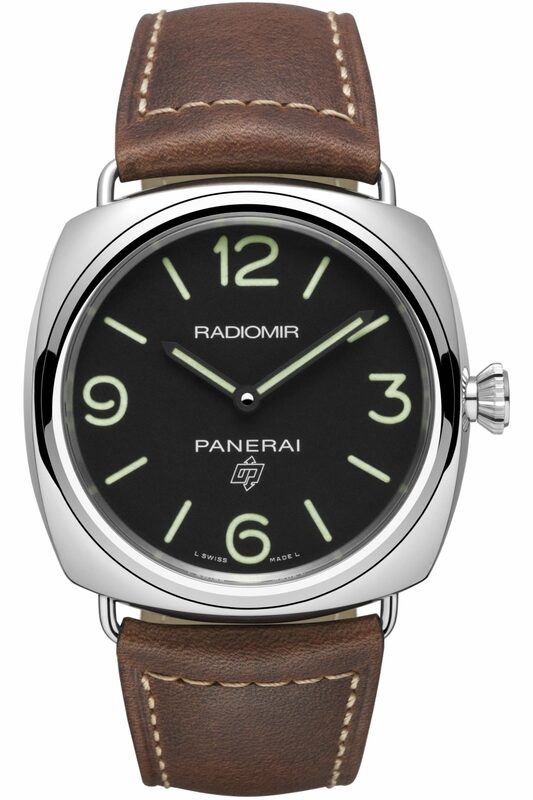 The Radiomir Logo and the Radiomir Black Seal Logo come in 45mm polished steel cases with wire loop strap attachments that are reminiscent of the early Panerai watches supplied to the commandos of the Royal Italian Navy. 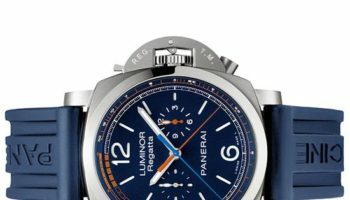 They both have the OP (Officine Panerai) logo with its twin arrows pointing up to the sky and down to the depths of the sea. 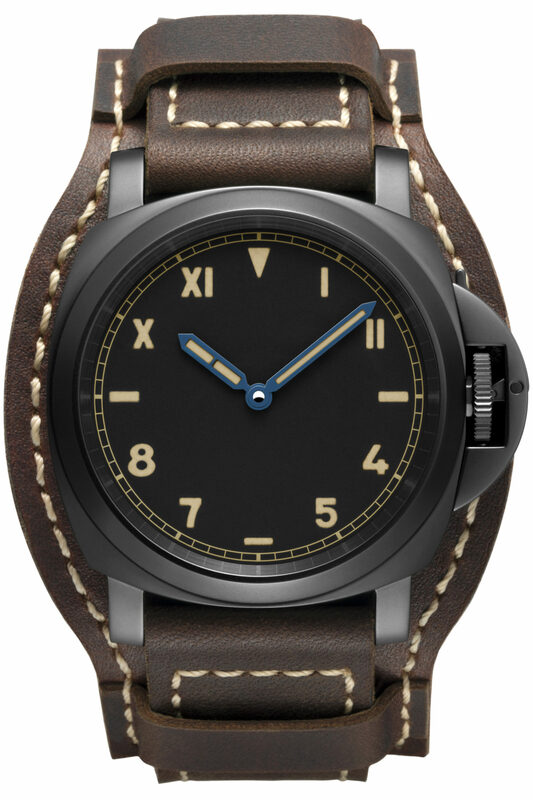 The words Black Seal appear under the Panerai logo on that version, which also has a small seconds subdial at 9 o’clock. 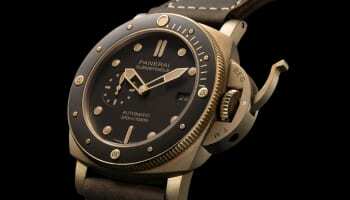 Both models use the P.6000 hand wound movement with 3 days of power. 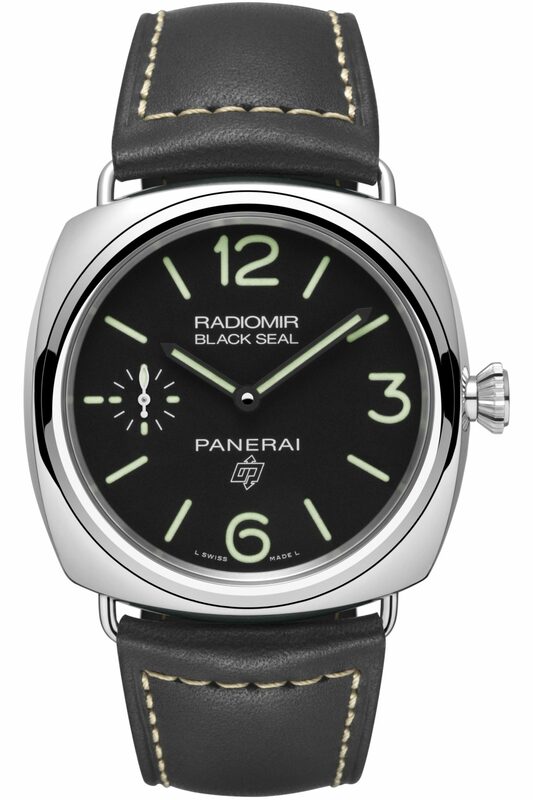 The Radiomir Logo will retail for £3400 while the Black Seal version sells for £3700. 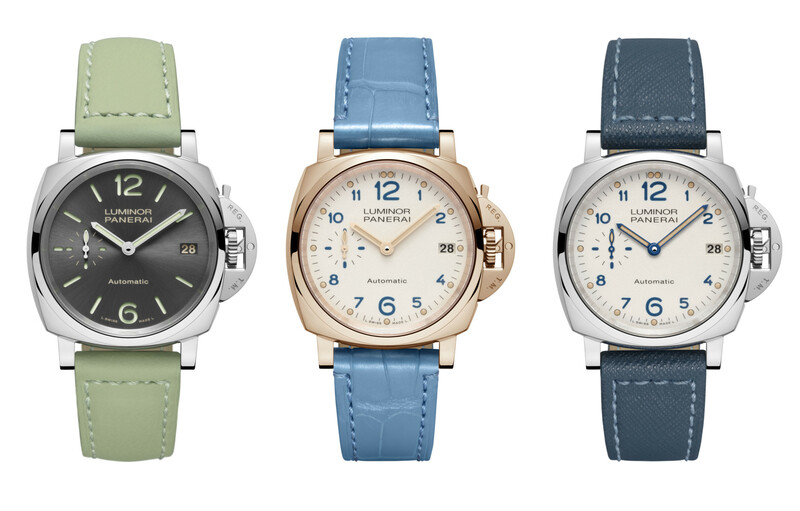 A new Luminor model, the California 8 Days DLC, is immediately recognisable thanks to its cuff strap. It uses a 44mm titanium case coated with DLC to give it a matt finish that should not become scratched too easily. The watch uses a hand-wound P.5000 calibre with power reserve of 8 days. 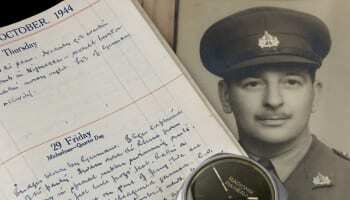 The piece is priced at £6900. 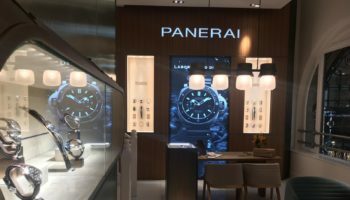 All watches are on sale this month at the new Panerai boutique on London’s Bond Street.